David Irvine’s groundbreaking Becoming Real and The Authentic Leader introduced readers to a means of deepening one’s leadership presence through the power of authenticity. Now, he takes us further along that journey. Part memoir and part inspirational guide, Caring is Everything is David’s courageous exploration into the power of caring. 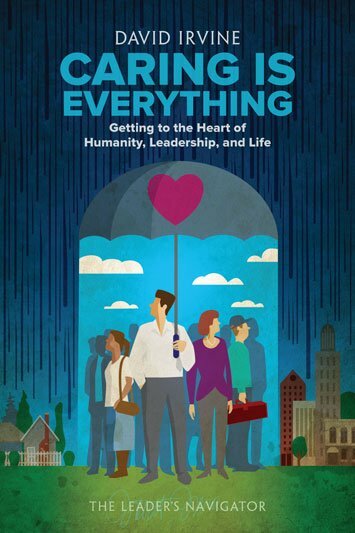 As a person committed to making a difference in the world—whether you are a corporate executive, caregiver, community volunteer, teacher, or family member—you will benefit from the insights contained in this thought-provoking book. Caring, the most noble of human journeys, has a pervasive, enduring influence on the well-being of those around us. Caring impacts who we are as people and the places where we work and live. And, at a crucial time in human history, it inspires us to tend to our living planet.